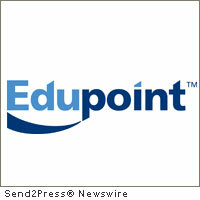 IRVINE, Calif., May 10, 2011 (SEND2PRESS NEWSWIRE) — Edupoint™ Educational Systems, a leading student information system (SIS) solutions provider to the national K-12 market, has been selected to implement its GENESIS™ and GENESEA™ SIS solutions for the Las Cruces Public Schools (LCPS). While the school district could have chosen to migrate to free software provided by the new owners of their existing eSIS™ system, a comprehensive study of all available options recommended the Edupoint purchase. Las Cruces Public Schools is the second largest district in New Mexico serving more than 24,000 K-12 students at 38 campuses. The district will implement the complete Edupoint solution suite comprising GENESIS SIS, the GENESEA solution for Special Education, and all integrated modules, including TeacherVUE™ Gradebook, and the ParentVUE™ and StudentVUE™ self-service web portals. The district also expects to take full advantage of Edupoint’s Revelation Technology™, the rapid application development platform underlying GENESIS, to meet future needs for new functionality and integration with third-party enterprise applications. Las Cruces Public Schools will begin implementation and data conversion during the summer of 2011 and expects to have all campuses on the new system in time for 2012/2013 school year registration. – Edupoint RSS news feed: https://send2pressnewswire.com/author/edupoint-educational-systems-llc/feed . Original Keywords: student information system, Las Cruces Public Schools, GENESIS SIS, the GENESEA solution for Special Education, ParentVUE, TeacherVUE, StudentVUE, Rob Wilson, Wes Baker Edupoint Educational Systems, LLC Irvine California IRVINE, Calif.
REFERENCES: California Business News, student information system, Las Cruces Public Schools, GENESIS SIS, the GENESEA solution for Special Education, ParentVUE, TeacherVUE, StudentVUE, Rob Wilson, Wes Baker Edupoint Educational Systems, LLC Irvine California IRVINE, Calif.